Today Razer continues our long history of supporting teams from across the eSports spectrum by announcing Vile Gaming as our newest partner. Vile Gaming is both international and formidable, and with Razer peripherals they are certain to blaze a trail in the Starcraft 2 scene. Vile Gaming, Est. 2005 has been a fixture in the Starcraft community since the days of Brood War. Recently, Vile has been scouting out talent across-the-board to strengthen their roster. Among the new faces are Canadian Zerg Zac " ChAnCe" Palmer, best known for his whirlwind performance during an IPL 3 qualifier where he eliminated the likes of MarineKing and TricksteR; and former ZeNEX player Hong " Yong" Sung, a Korean Protoss. Vile Gaming is excited to begin its partnership with Razer. They have been a consistent ally of esports for years, and to align ourselves with them means that Vile Gaming will continue to grow alongside a brand that brings pride to professional gaming. With our players attending nearly every major tournament in the coming year, I’m glad to know they’ll have the best in quality equipment to give them an edge. 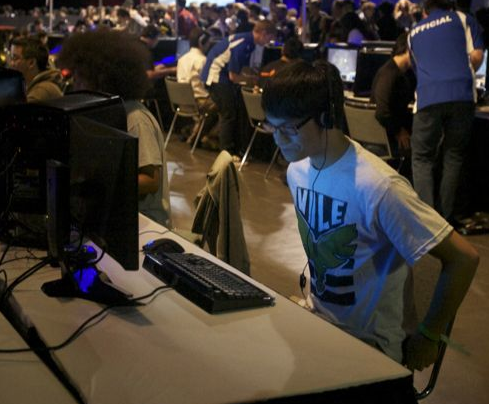 Vile has been extremely active this past year, most recently attendeding the MLG Providence finals where Illusion, State and Spanishiwa placed 24th-31st, after defeating top North American players such as iNcontroL and Sheth. The team were also present at the recent Texas Starcraft Showdown, where State and Hawk finished in first and fourth place respectively. Vile Gaming is a force to be reckoned with within North America and now, with Razer a their side, they are ready to go the distance. I've been using Razer mice since TSL1 which was sponsored by them. Congrats , Didn't see this coming or expect it really, nonetheless it is great for Vile. GL! Sweet! :D GZ to Vile! Awwww PsY was not even mentioned. Cool news though. Damn. The bigger Team Vile gets, the harder it becomes for me to join. Vile is great. I've played with State and Hawk and they are both incredibly talented. I hope to see them do well. Excellent to see Razer continue to sponsor players\teams. Wait, this only just happened? I'm pretty sure I saw Vile in the "razer team of the year" thing a month ago.